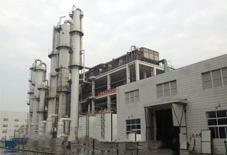 SL TEC has 15 years experience in acetic acid industry from technology R&D, plant design, engineering, and operation, has several reference plants and can ensure the safe, long term and stable running of the plant. 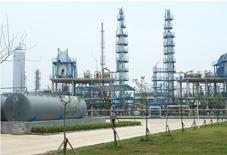 Our process starts from methanol and CO feedstock, which are continuously sent to the Reactor, at the presence of Rh catalyst and 3.0MPa(G), 180-220oC to synthesize acetic acid. The reaction solution is pressure relieved by flash valve before entering into the Flash Evaporator for vapor-liquid separation, from which the mother liquor at the bottom is pumped back to the Reactor for continuous conversion into acetic acid, while the vapor at the top is charged to the distillation system for purification to get acetic acid with concentration higher than 99.85%. 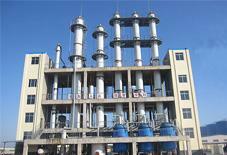 By-products such as hydrogen, carbon dioxide, methane, propionic acid, hydrogen, methanol as well as the non-reacted carbon monoxide is collected to remove iodine substances before emission to the flare system. Our process has features incl. reasonable design (Zr material is selected for over 80% equipment, skid-mounted design is employed to save material, reduce cost and avoid complicated on-site installation. ), safety (DCS, SIS and ESD are designed to ensure safe operation), reliability (we are experienced in R&D, engineering design, and operation).